Welcome to the Alexander Campbell King Law Library. 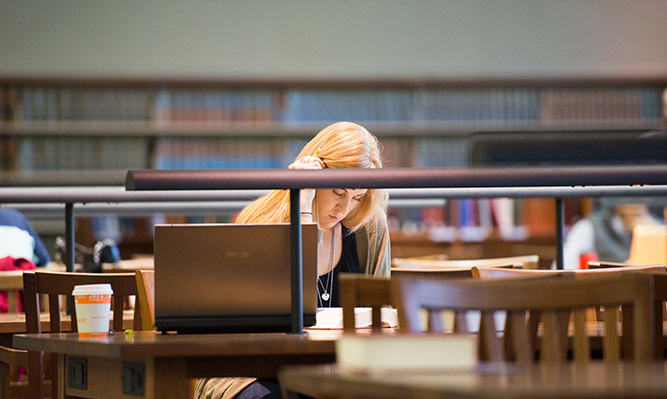 The Law Library has a rich, established collection of more than 500,000 digital and print titles. We are dedicated to providing anytime/anywhere access to information and we utilize new technologies to deliver that information. The library's physical facility is outstanding. Our two-story picture windows offer a view of beautifully landscaped north campus. 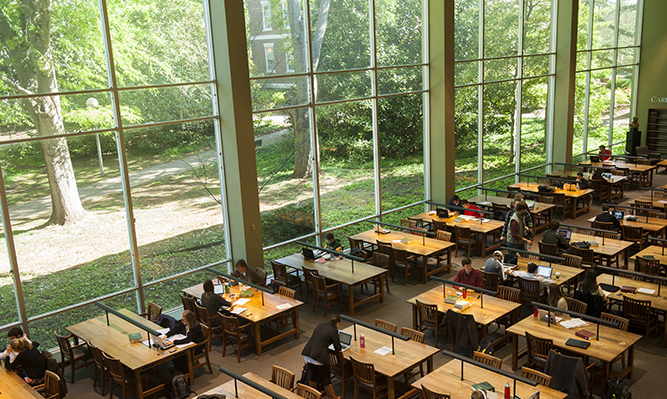 The library provides ubiquitous wireless access as well as task lighting and power outlets at virtually every seat.